Not all of us are blessed with an Award Winning Smile. Like many other aspects of our health, there is a genetic component to teeth from the way they look to their overall health. It is always recommended that to keep a healthy smile it is very important to take care of your teeth and gums. The key component of this is brushing, flossing , healthy eating and regular dental visits at the office of Dr. David M Glasscock. As we age, we are more susceptible to various dental diseases making us more predisposed to tooth loss. Without regular checkups and proper dental care, the deterioration of your teeth and gums becomes inevitable. Dentures become a more prevalent option as tooth loss becomes more and more. Approximately 20 million women age 40 and over (that’s 19%!) 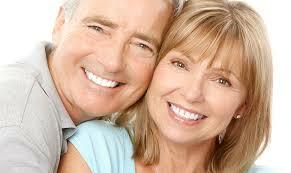 wear full or partial dentures, reports a 2009 Fixodent Beauty & Aging Survey. And the number of US adults needing dentures is projected to increase from 33.6 million in 1991 to 37.9 million in 2020, according to research published in The Journal of Prosthetic Dentistry. Most people think they will never need dentures. For most of the population, that statement is true. Good oral hygiene and regular dental visits can prevent tooth loss and the need for dentures. Approximately 20% of the population will need dentures at some point but this can be prevented. With today’s advancements in dentistry, Dentures are not your destiny but a choice on how well you choose to take care of your teeth. 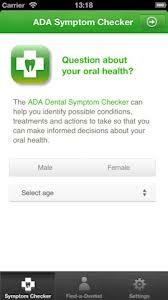 Oral and psychological health issues are intimately related. Psychological well-being can affect oral health and oral health can affect one’s psychological well-being. Add to the mix is odontophobia, a psychological condition depicting an irrational and overwhelming fear of dentistry. The perception of loss of control and helplessness are issues that create fear. These perceptions stem from our limbic or primitive emotion system and require reasonable and logical executive level cognition to overcome. Unfortunately, some cannot summon such resolve. Chronic stress can manifest orally through over salivation or dry mouth. Disrupting the pH balance in saliva can cause acidic saliva, which causes tooth decay. Dry mouth from stress affects bacterial growth, and many of the medications prescribed to reduce stress may cause dry mouth. Many psychological issues result in fewer, if any, visits to the dentist. For depressives, a visit to the dentist is not high on their list of concerns. This can cause tooth decay or loss, causing additional depression. Additionally, having an unsightly smile can reduce self-esteem, restricting a healthy level of sociality, reinforcing or causing depression. Recent studies by a team of neuro-scientists suggest there are dental markers that could indicate Alzheimer’s and MMI or mild memory impairment, a pre-clinical stage of dementia. These studies are nascent but show promising information leading researchers to believe there is a possibility that inflammation from periodontal disease may find its way to the brain, affecting the hippocampus in particular.